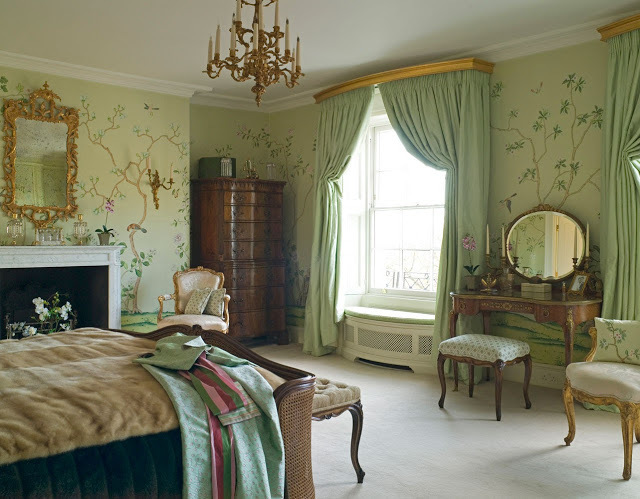 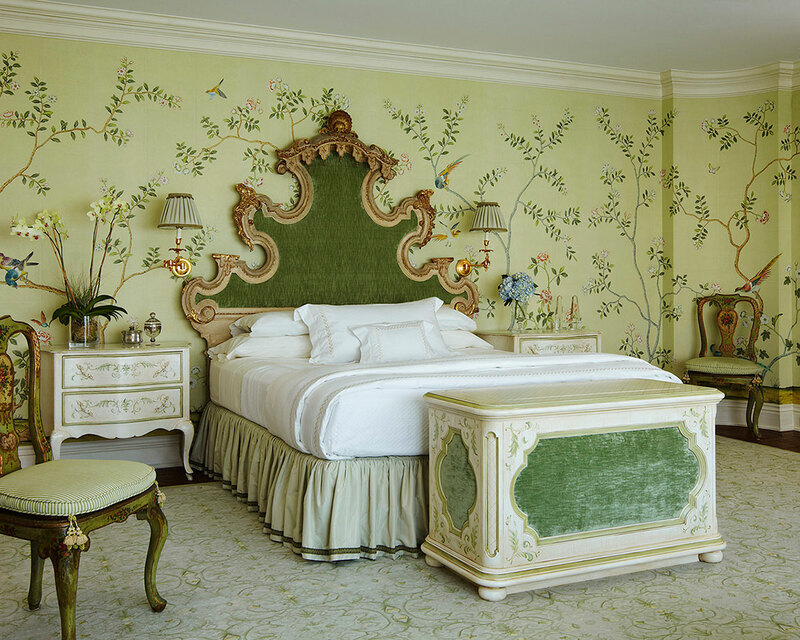 Dreaming in Green or to be specific Celadon : Gorgeous Chinoiserie Hand Painted Wall Coverings... you’re in for a real treat! 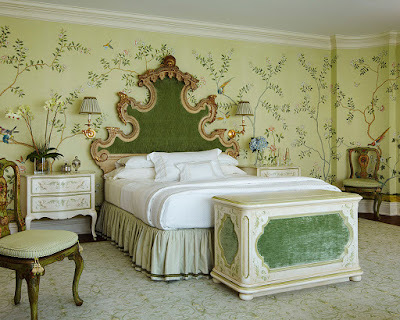 I am sharing today my favorite pattern The Badminton. 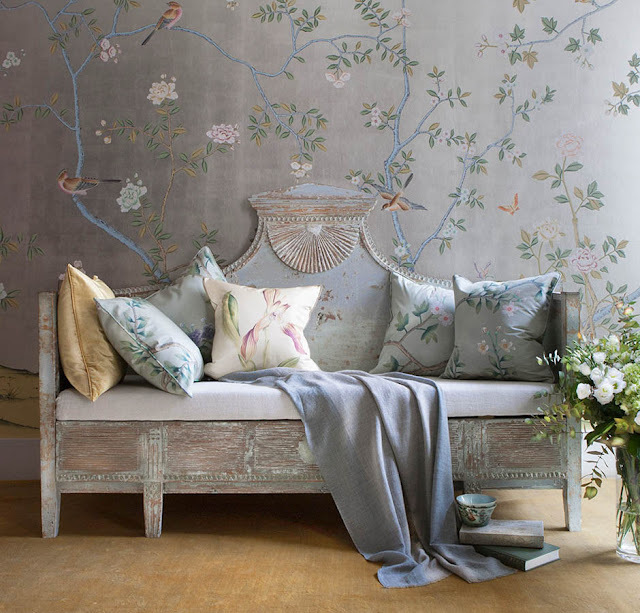 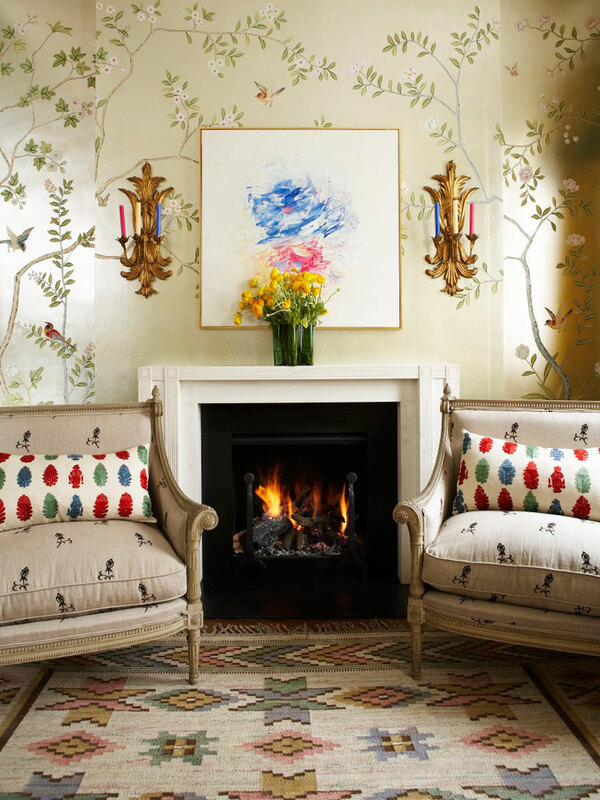 Okay, first of all, what is chinoiserie? It's a classic design motif from the 18th century, and how people of that time interpreted Asian art and ceramics. It was actually a way to get away from the more Greek and Roman influences that were so popular then, and instead focus on romanticized ideas of nature and landscapes. 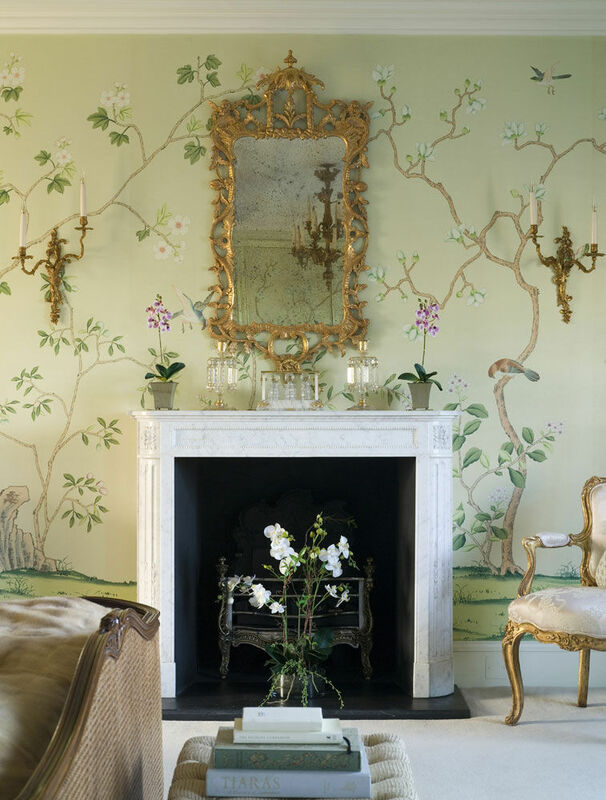 Take a look at this Badminton design chinoiserie that can add chic touches to your decor! 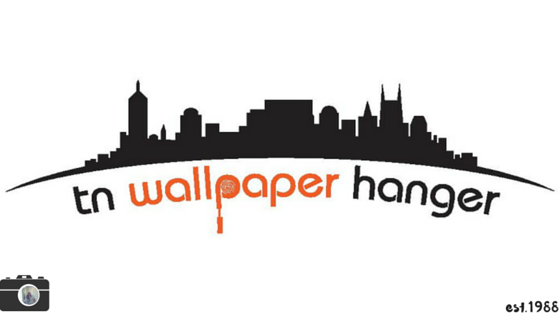 Paperhanging is done by TnWallpaperHanger.com of Nashville, TN.